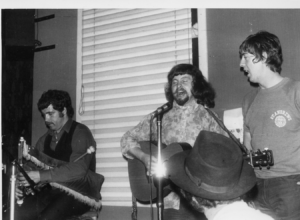 This site is developed as part of a Heritage Lottery Fund project awarded to Holmfirth Film Festival and entitled Folk Memories: sharing music heritage through word and image. 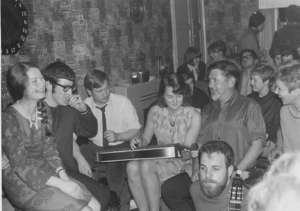 During 2017-2018, the project will make Brian Lawton’s photographs and associated collections better known and help to tell the history of West Yorkshire’s folk music and folk festival scene and its place within Britain’s post-war folk revival. For further information about Brian Lawton, his photographs and wide-ranging musical interests and how you could become involved in the project please follow the links or contact us. We look forward to hearing from you. Folk Memories: sharing music heritage through word and image, is a project supported by the Heritage Lottery Fund and led by the Holmfirth Film Festival Group, in association with Friends of Holmfirth Folk Festival and other interested local community groups and individuals during 2017-18. The Holmfirth Film Festival Group is a community group committed to promoting interest in film as a creative medium and encouraging people to appreciate the rich visual heritage of film (from recent releases to little known gems and old favourites) and historical visual imagery. Volunteers have organised an annual weeklong film festival in May (for the past eight years) plus many other smaller events throughout the year. They bring film-screenings, film-based events, historical presentations of rediscovered films and ‘local film nights’, plus commissioned projects and exhibitions to varied venues and audiences of all ages in and around the valleys and scattered settlements of the Holme Valley in the South Pennines of West Yorkshire. The Brian Lawton Legacy maintains the Holmfirth Film Festival’s commitment to further people’s enjoyment and interests in historical imagery that tells rich and varied stories about local lives and past experiences. Previous Holmfirth Film Festival projects include Pageant Tales 2016: Preserving New Mill’s Community Traditions (HLF funded, 2016) and the conservation and screening of locally discovered footage from c. 1910. These projects help to sustain the Valley’s fascinating links to the earliest years of Britain’s cinematic history. The Folk Memories project builds upon established strengths in bringing community members together, oral history, and working with people of varied interests and ages. It also provides an opportunity to make the locality’s varied folk musical heritage and dance traditions better known in a region long recognised for the richness of other musical and choral excellence. Volunteers are warmly invited to join Holmfirth Film Festival Group. Opportunities for becoming involved in Folk Memories are available here.